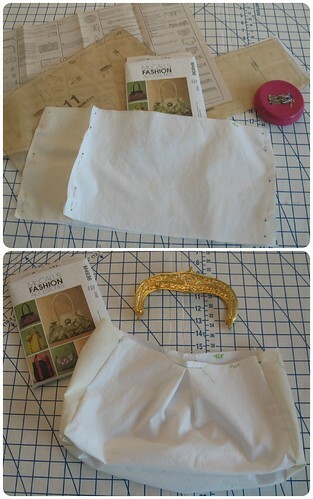 Thank you to everyone who shared their suggestions about how to tone down the bright gold purse frame that I purchased. With so many Rub 'n Buff suggestions, I decided I would have to try it! I ended up spraying a layer of clear coat over the top just to make sure nothing rubs off on my dress! 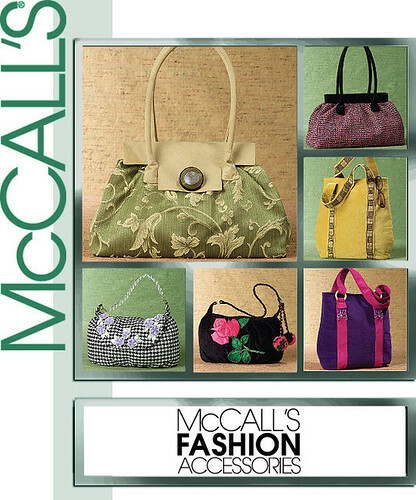 McCalls 4936 was used as a base pattern. 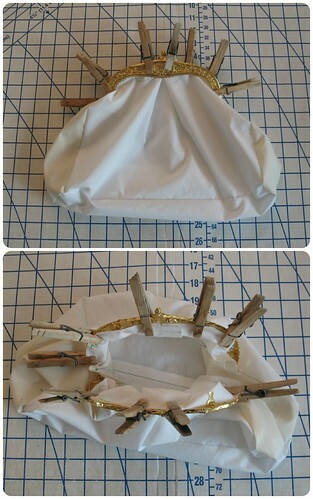 I eliminated the straps and flap. Instead of gathering the excess, I pleated the fabric. Center was marked and I guessed that 2” out from center in both directions might work. And it did – perfectly! 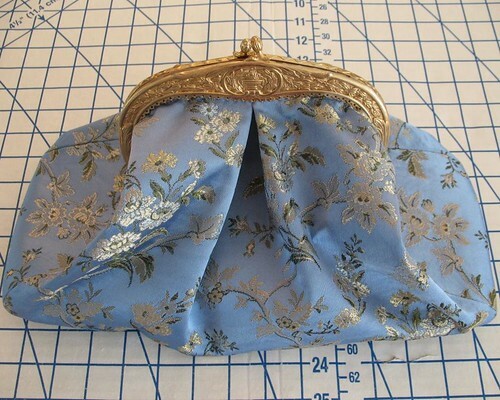 To make sure the purse was going to fit the frame, I made a muslin and used some helpful closespins to help visualize how the finished accessory might look. 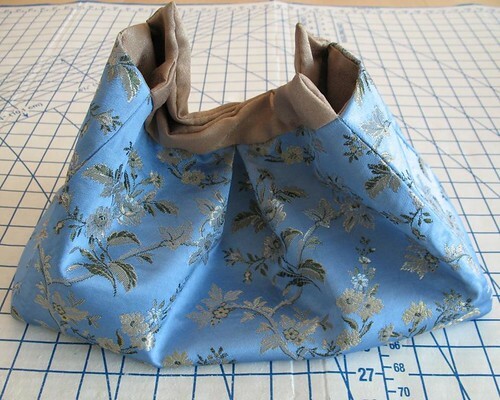 The pattern has two side gusset pieces which are finished off before the front and back and sit a little lower which is absolutely perfect for a purse frame. 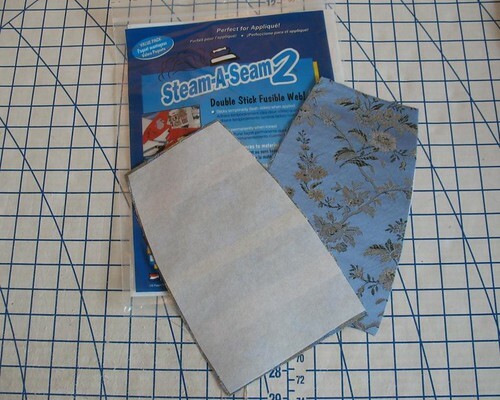 Turns out I did not have any heavy duty fusible interfacing in the stash. And there was no way I had time to make another trip to the fabric store. 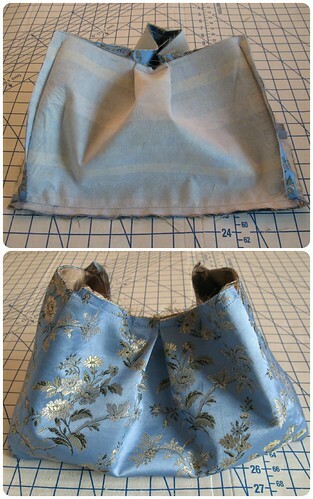 So, I made do with Steam a Seam and some non-fusible. 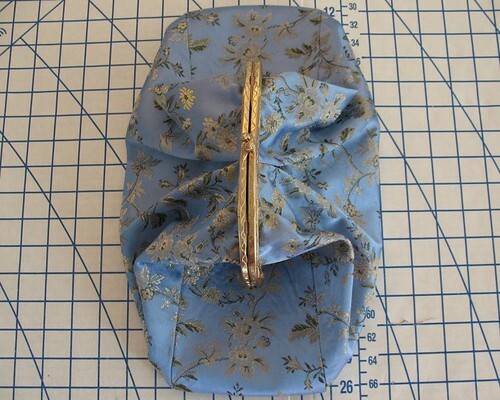 I am glad I went ahead with the thicker interfacing – the shape of the clutch looks much more interesting and does not collapse on itself. 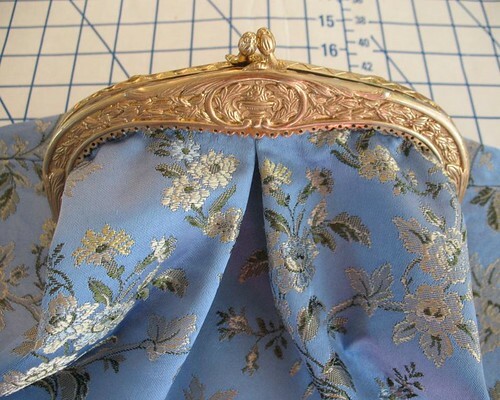 So the clutch and the capelet are finished - just one more important piece of the puzzle to go! What a beautiful accessory! Laura I've been following along this journey with awe...you are going to look stunning for your big day and I can't wait for the reveal!